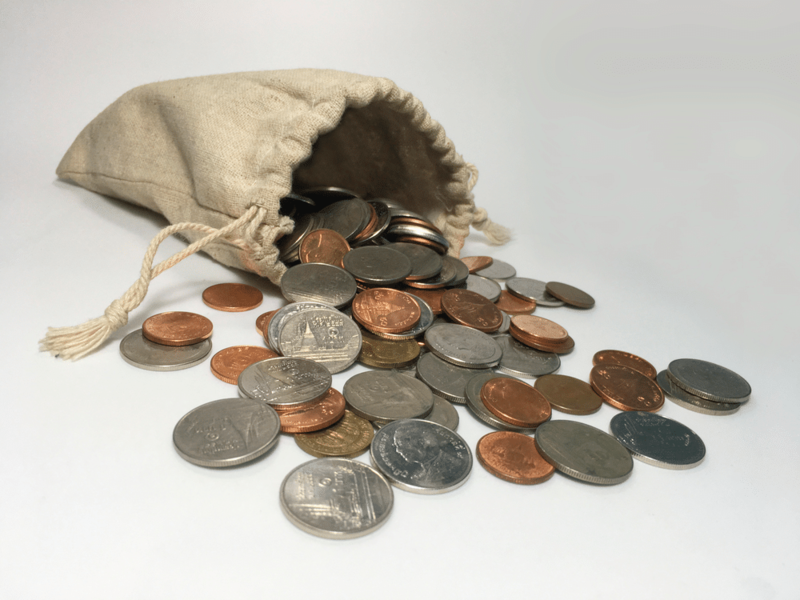 Figuring out which is the best coin sorter for your needs can be a bit confusing. It is a good idea to make sure you get the best coin sorter that is right for you, otherwise, it may take a while before your initial investment pays off. With different counting option, a variety of collection methods, and even a number of nice, but not necessary, features, the difficulting of finding the right coin sorter is made the more tiresome. That is why we have put together a list of the 5 best coin sorters, highlighting what each of them does better than their competition. Then we provide a helpful buyer’s guide, so you can find the best coin sorter 2018 for you. Royal Sovereign is one of the biggest names in both consumer and commercial coin sorting with a variety of models to suit everyone’s needs. In fact, Royal Sovereign makes more than one appearance on our list with numerous entries that fill specific niches up and down the workload and budget lineup. 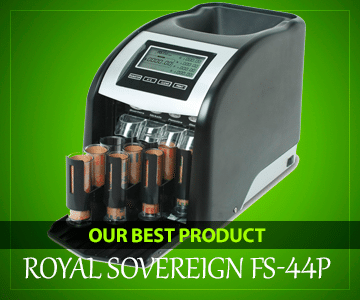 Out of all the Royal Sovereign coin sorters we examined, the Royal Sovereign FS-44P is not only the best of the bunch, but it is also the best performing coin sorter that we reviewed, period. As such, this model can also be seen as the best commercial coin sorter on our list as well. Though, keep in mind, the commercial applications for this coin sorter are definitely limited more towards small businesses as this product is not designed to handle the workload of even a smaller regional bank. Of course, if you are simply a consumer, this coin sorter will provide more than enough performance for your needs, though you may want to be a wary of its fairly expensive price tag. Still, if you find yourself running to a Coinstar or other type of pay coin sorter once a month or more, then this coin sorter is very likely worth the investment–regardless your situation. In terms of capacities, the Royal Sovereign FS-44P offers some of the best benchmarks out of all the other products on our list. While not strictly the best, the 800 coin capacity coin hopper is good for the second largest that we reviewed, while the 312 coins per minute sorting speed is tied for first–with the other top coin sorting speed also belonging to a Royal Sovereign. 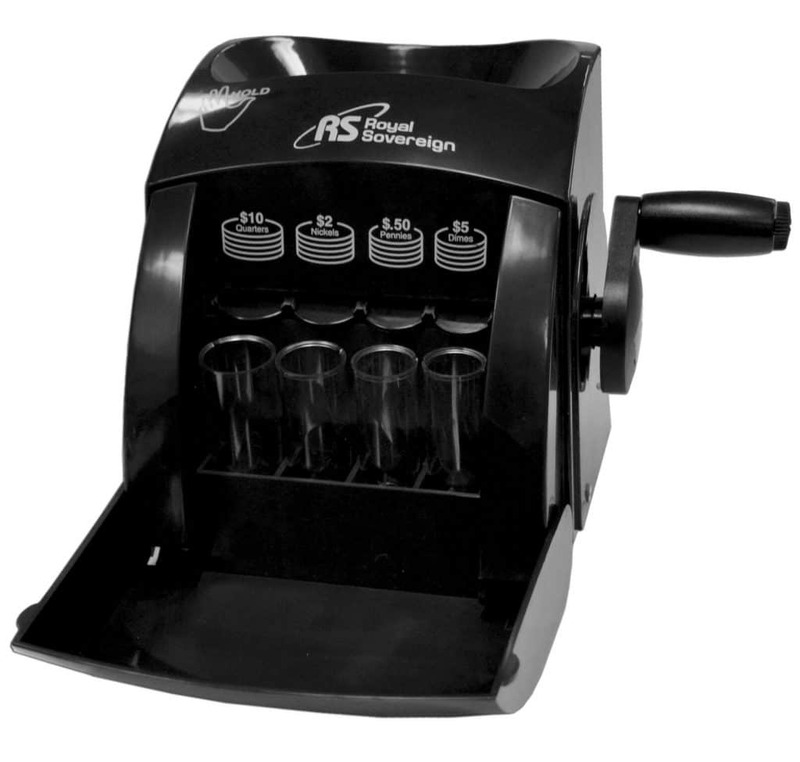 Like many Royal Sovereign coin sorters, the Royal Sovereign FS-44P features their patented anti-jamming system. This helps prevent the coins from being allocated in the wrong slots or from doubling up and grinding the motor to a halt. That said, the anti-jamming function is still a bit delicate and will require that you make sure the coins are not especially dirty or grimy as this can cause a jam. Another thing to watch out for when using the Royal Sovereign FS-44P is the coin tube level as overfilling a coin tube is another way this coin sorter’s motor can jam. That said, clearing a jam in the Royal Sovereign FS-44P is a relatively easy process, though it is by no means the easiest on our list. Founded in 1999, Cassida has an almost two-decade history of providing a variety of money automation products and services. In fact, Cassida is another brand on our list that specializes in cash automation products and services. That said, Cassida is definitely more specialized than the other brand on our list with no products designed for general commercial or consumer business use. This company is all about the money and making sure that it is counted, sorted, and genuine. The Cassida C200 may not have all the bells and whistles as the best performing coin sorter on our list, but it definitely has one advantage that is hard to beat: size. When it comes to the numerous different relevant capacities of coin sorters, the Cassida C200 does not merely top the list, it blows the competition out of the water. Specifically, this coin sorter has a hopper capacity of up to 2000 coins total. To put that in perspective, that is a 150 percent larger capacity than the next closest competitor. While the counting speed of up to 300 coins per minute is not the best on our list, it is still good for the second best. It is also only 12 coins per minute less than the fastest coin sorter which is a fairly negligible amount. When you combine by far the largest hopper capacity with a close second in counting speed, this seems like a no-brainer for larger commercial applications. There is only one problem with the Cassida C200 that makes it somewhat unsuited for larger commercial applications: jams. This is one of the few coin sorters on our list that does not feature any sort of anti-jamming function. Considering how many coins can be sorted and the speed with which they would be sorted, the omission of an anti-jamming feature is a tough pill to swallow for a large commercial business which might rely on their coin sorter daily for a heavy workload. Still, there are a number of other qualities about this coin sorter that otherwise make it ideal for a commercial application. For instance, this coin sorter features three separate operation modes: count, batch, and add. The counting mode will simply tally up the number of coins and their value in a single run. 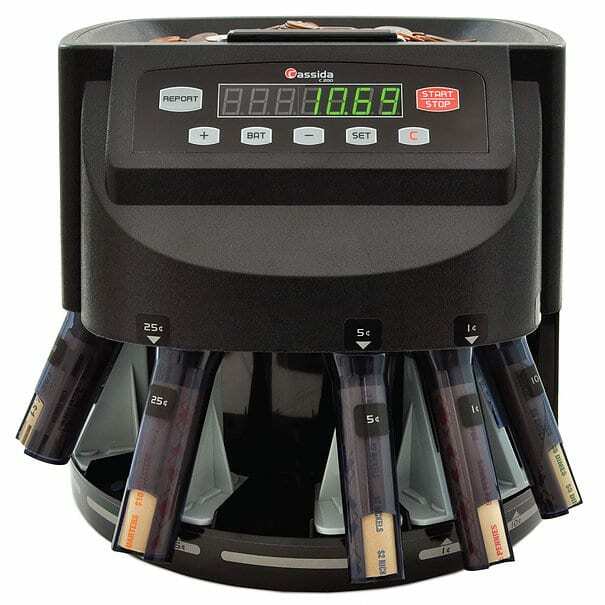 The batch function allows you to designate a specific number of coins for different denominations, and the Cassida C200 will stop once it hits that mark. The add function will allow you to switch out rolls of coins while still keeping a running tally of the total value for extra large jobs. As one of the more storied manufacturers of automated cash products, it might come as a surprise that Royal Sovereign has been in existence for over three decades. In that time, the company has managed to develop and acquire over 120 different patents for their products. This allows Royal Sovereign to provide some of their more advanced features on products that would otherwise be designated for a consumer market. In that vein, the Royal Sovereign FS-2D is easily the best all-around value on our list. This is due primarily with a specific feature combined with its price point. 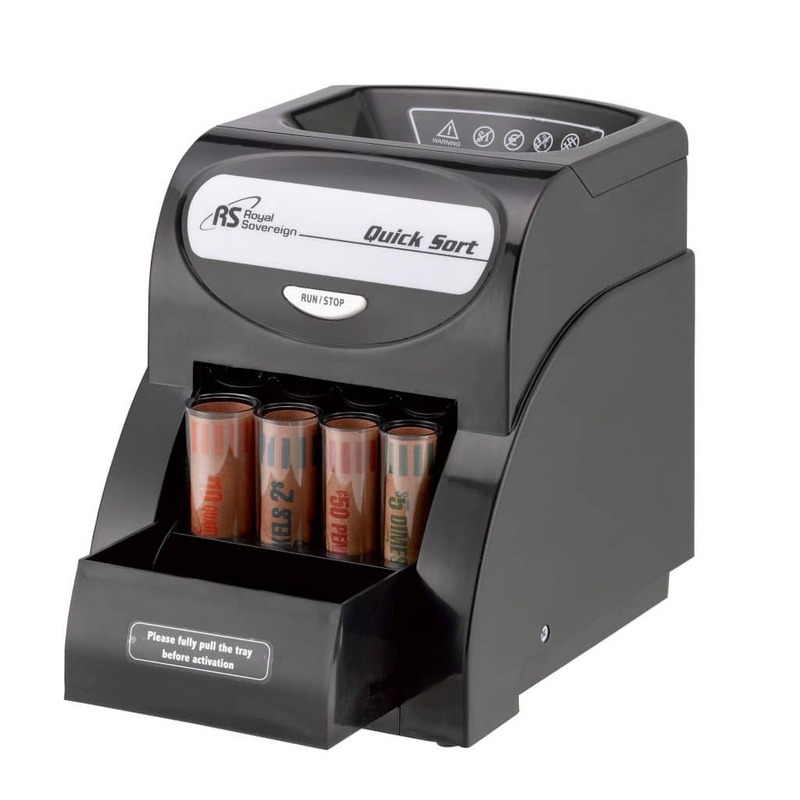 While this is by no means a “budget” coin sorter, the Royal Sovereign FS-2D is inexpensive. Still, the most impressive part about that price point is the fact that this coin sorter features Royal Sovereign’s patented anti-jamming technology. In fact, this is one of the least expensive coin sorters on the market to include such a feature. That alone would make this the best all-around value coin sorter, but this product is quite respectable among a number of other metrics as well. While it cannot boast quite as robust a capacity as some of the other products on our list, its coin hopper does still hold a respectable 400 coins maximum. However, it is the counting speed which truly sets this coin sorter a step above the rest. 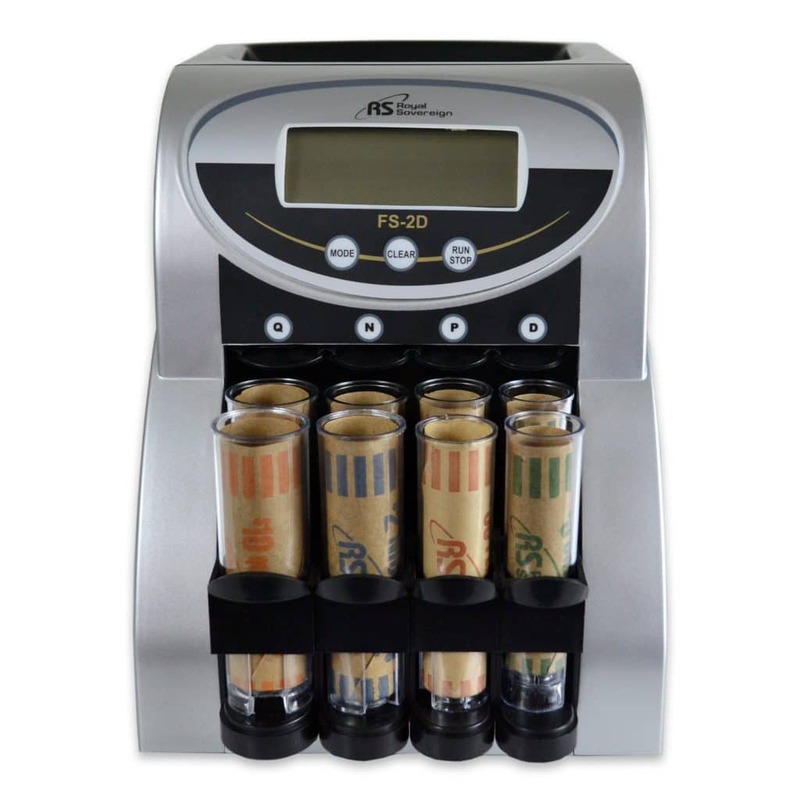 The Royal Sovereign FS-2D is tied for first on our list with a counting speed of up to 312 coins per minute. While this coin sorter cannot sort the most number of coin tubes, it again performs better than its price point would otherwise lead you to believe by performing the second best in this category. 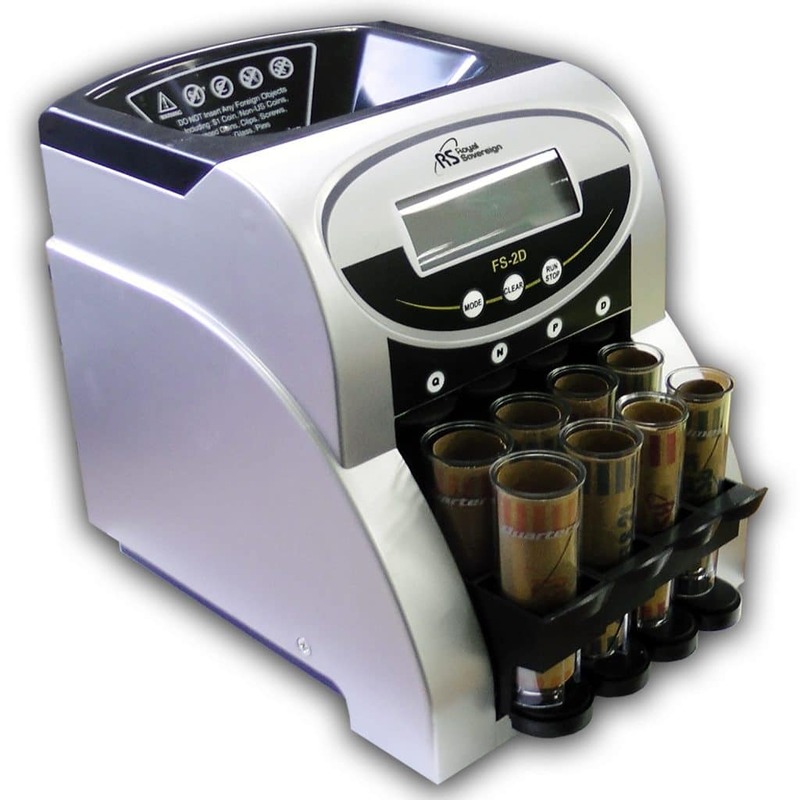 With two rows of coin tubes, you will be able to work twice as fast as when compared to most of the other products on our list. That said, the Royal Sovereign FS-2D will not automatically move the coin tubes when they are full. You will actually have to stop the coin sorter and move the coin tube row yourself. While not the best in terms of counting functions, the Royal Sovereign FS-2D is not poor in this area. It will keep a running total of all the coins sorted, both in number and value, as well as the counts of each individual denomination. Though you will still need to keep track of this coin sorter more than some of the more expensive models we reviewed as it has been known to miscalculate by a couple coins with some low, but not uncommon, frequency. Also, this coin sorter will not keep a running tabulation of the number of coins sorted nor their value beyond a single maximum run. Though most of Royal Sovereign’s products are actually designed for office and commercial applications, the company does offer a wide range of products that are more suitable–and more in line with the budget–for a consumer market. In this regard, the Royal Sovereign QS-1AC eschew many of the more advanced features that some of their superior coin sorters offer, but it also comes in as the least expensive automatic coin sorter on our list as well. Even better, this is the least expensive coin sorter we reviewed which offers anti-jamming technology. When you consider that the next least expensive coin sorter to feature anti-jamming technology is almost twice as expensive and is still a good value, the Royal Sovereign QS-1AC becomes a veritable steal for the consumer market. That said, it is important to realize that there are not enough additional features nor a large enough capacity to make this product appropriate for commercial applications. In terms of capacity, the Royal Sovereign QS-1AC is tied for the second lowest coin capacity on our list with a hopper that can hold a maximum of 200 coins. This is only half of the capacity of the next smallest coin hopper and not at all appropriate for a commercial application. On top of the smaller hopper, this coin sorter also features the slowest automatic counting speed of no more than 156 coins per minute. This means that a business would have to wait around and continuously pour coins into the hopper, wasting valuable time and energy. The amount of time that you would spend waiting for this machine to sort your coins is only increased by the fact that this coin sorter can only sort a single row of a given denomination at one time. To make matters less convenient, the Royal Sovereign QS-1AC is the first we reviewed which does not automatically shut off once a row is filled. This means you will have to watch rows as they are being filled, and shut it off manually. If you do not, the Royal Sovereign QS-1AC will back up, causing a jam that you then have to fix. Thankfully, fixing a jam on the Royal Sovereign QS-1AC is actually easier than with most of the other coin sorters we reviewed. The Royal Sovereign QS-1AC has a cover that is held closed by a single screw. Even better, the screw itself can be turned with one of the coins you are counting, requiring no additional tools. This cover, once opened, provides easy access to the sorting mechanism, so you can quickly and easily clear any jam incurred. The final product on our list once again comes from arguably the king of coin sorting machines, Royal Sovereign. That being said, this product should be understood within its specific niche market. This coin counting machine is more of a retro throwback to coin counting machines of old. This vintage style of coin counting machine has been rebranded for our more sustainability-conscious society. Specifically, this is the only coin sorter on our list that does not require electricity of any sort–neither from batteries nor an AC plug. Instead, the Royal Sovereign QS-1’s coin sorting mechanism relies on a hand crank. This is actually how the first coin sorting machines were designed, and it is a design that has withstood the test of time. Of course, this means that you cannot simply place your coins in the hopper and walk away. Thankfully, the crank is easy to turn, so much so that even a child or elderly and infirm customer can use it. Another advantage that the Royal Sovereign QS-1 has over all of its competitors is portability. While many of the other coin sorters on our list are not that heavy, they are all tethered to the availability of an AC outlet. As a manual coin sorter, the Royal Sovereign QS-1 suffers no such restrictions. That said, there are a number of other features on this coin sorter that allow it to be easily transported from one place to the next. For one, this is by far the lightest coin sorter on our list. At only 2.86 pounds, the Royal Sovereign QS-1 is just over 50 percent of the weight of the next lightest coin sorter. On top of that, the Royal Sovereign QS-1 is also the only coin sorter on our list whose overflow tray actually doubles as a cover. This allows you to close up the Royal Sovereign QS-1 in an ultra-compact profile that makes transportation easier than with any other model reviewed. In terms of its capacities, the Royal Sovereign QS-1 is at the bottom of the pack in virtually every category. Since it relies on a hand crank, there is no counting speed measurement. That said, you cannot simply turn the crank at breakneck speed with risk of damaging the sorting mechanism or causing a jam within it. If you cause a jam, things get even trickier as this is one of the few coin sorters we reviewed which does not have an anti-jamming feature. Instead, you are asked to turn the crank the opposite direction–but only a half crank at most or else you may very well exacerbate the problem. This issue is further compounded due to the fact that there is no easy way to take off the cover of the Royal Sovereign QS-1 like with some other models. Pretty much everyone in the modern world has either a jar, dish, or even an entire dresser drawer filled to the brim with loose change. 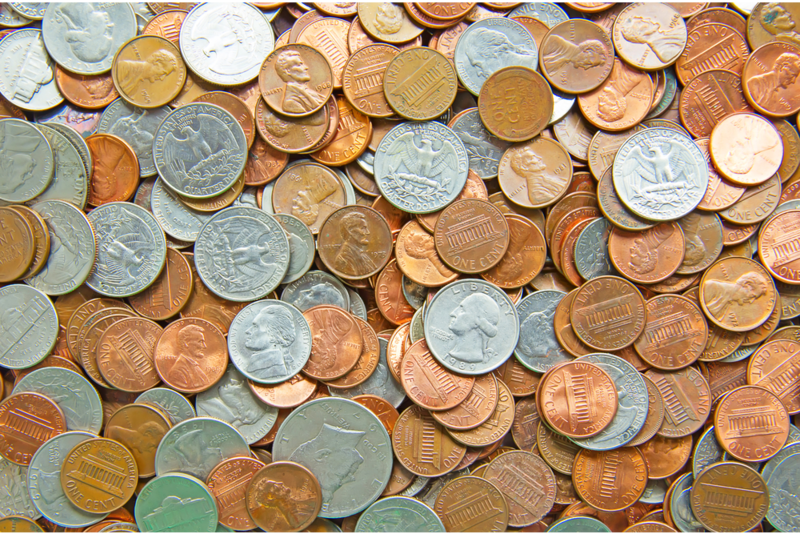 Many stores like Walmart have Coinstar machines available to help you sort this loose change and turn it into bills. Of course, this service does not come free as these machines charge a minimum of ten percent of the money you put in. If you are only doing this for a few bucks worth of coins, that is not a big deal. If on the other hand, you are regularly dumping in tens or hundreds of dollars, you are losing more money than you would likely be comfortable with. 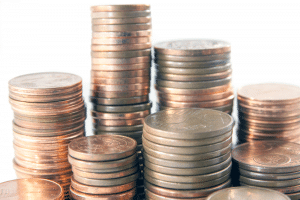 To alleviate this cost, many people turn to at-home coin counters. 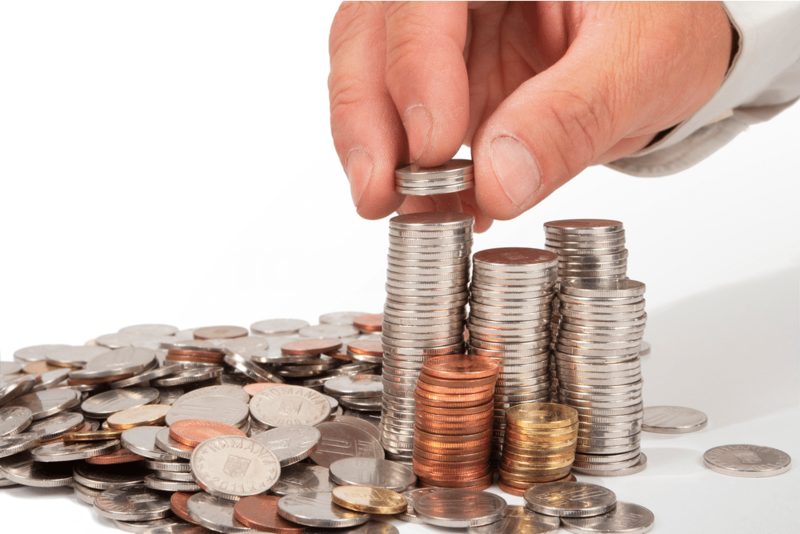 For a single upfront cost, you can organize and count your change with the only investment being a bit of time and effort. This relevancy of this feature will come down to two considerations: setting and convenience. If you demand the most convenient coin sorter and are willing to pay extra for that convenience, then the larger the hopper the better. Keep in mind, hoppers generally increase at double capacity from one grade of coin sorter to the next–and so does their price. If you are purchasing a coin sorter for a consumer application, there really is no question about it. You need a coin sorter with a large capacity coin hopper. The sheer number of coins that you are liable to need to be sorted will make coin sorters with a low capacity coin hopper more time and trouble than they are otherwise worth. Of course, the exception to this rule is if you have a small business you run from your home. Much like the hopper capacity, the counting speed of a coin sorter will once again be weighed on your desire for convenience or the setting in which you use the coin sorter. 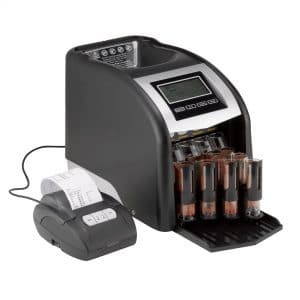 Unless you are comfortable waiting for a bit longer–though not more than a matter of minutes–a faster counting speed coin sorter will ultimately provide you with a better, more convenient experience. In regards to commercial applications, counting speed is arguably more important than the hopper capacity. This is because you may very well need to pay an employee to run the coin sorter. The longer the coin sorter takes to count and sort the money, the longer you have to pay that employee. Once again, this does not necessarily apply if you run a small business from the comfort of your own home. 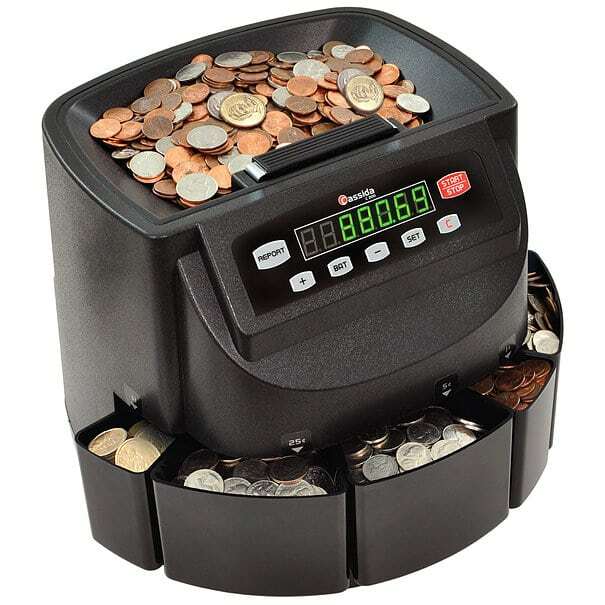 While some people may simply wish to count their coins so that they have a running total of the number of coins they have, most of the time people seek a coin sorter so they can then quickly and easily place them in a convenient coin roll. Pretty much every coin sorter on the market helps facilitate this process by providing specially sized coin tubes. 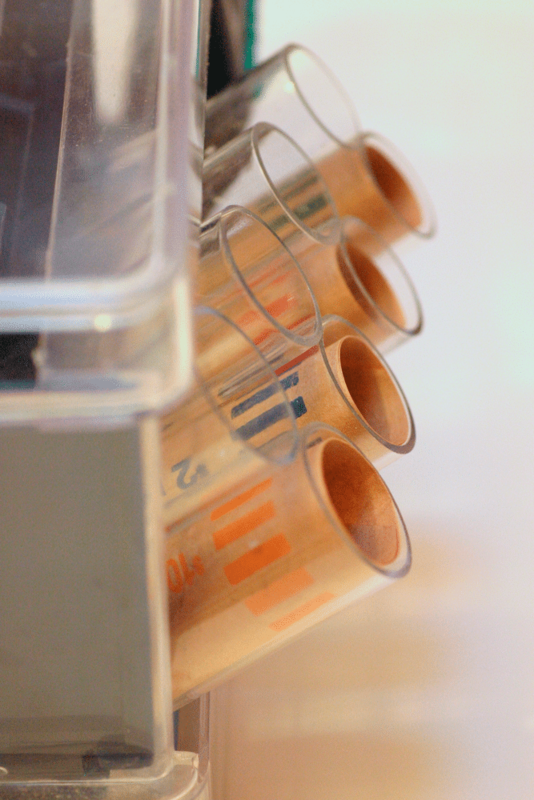 Some of these coin tubes are even able to be pre-loaded with the coin roll paper to expedite the process. When it comes to tube trays, one of the more important considerations for commercial applications is number, automatic shutoffs, and automatic advancing. The more tube trays that a coin sorter can hold, the longer it can run without you having to empty the coin tube. 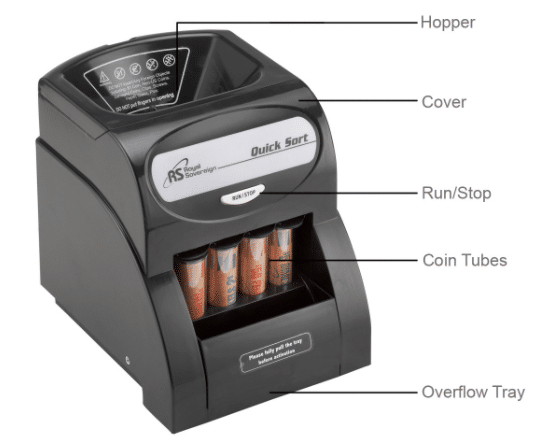 The automatic shutoff feature provides you an opportunity to empty and refill a coin tube without having to hang around the coin sorter and wait for it to finish filling a coin tube. Finally, the automatic advancing function is used for coin sorters which hold multiple coin tubes of the same coin denomination at one time. When that denomination’s tube fills up, the coin sorter will automatically move it forward, revealing a fresh, empty tube waiting to be filled. It is the automatic advancing feature that is arguably the most important for a commercial application, though the number of tubes held is also important for speed and efficiency. Beyond the standard features that are common to all coin sorters, anti-jamming technology is arguably the best additional feature that a coin sorter can provide. With anti-jamming technology, a coin sorter is far less likely to run into the kinds of issues that would otherwise derail your coin sorting and potentially increase the investment of time, energy, and–if you are paying an employee to run the coin sorter for you–money. One thing to keep in mind: anti-jamming technology is not infallible. You must still be careful when using the coin sorter, or it may jam. One thing that often causes a coin sorter to jam, even when it has anti-jamming technology, is by sorting coins that are especially dirty or grimy. The dirt and grime can gunk up on the sorting mechanism and cause a jam. Another thing to watch out for with all coin sorters–whether they have anti-jamming technology or not–is to make sure that you run them on a level and even surface. If the coin sorter is running at a tilt, the sorting mechanism is liable to jam regardless the technologies involved. When selecting the best coin sorter for your needs, it is vital to understand the setting in which you intend to use it. A coin sorter that will be used exclusively at home for loose change does not need to provide nearly the same degree of functions as a coin sorter that will be used for commercial applications. That said, commercial coin sorters will need to weigh a couple factors that will ultimately inform their decision–specifically, volume and reliability. While both of these factors are important for commercial purposes, it can be somewhat difficult to find a coin sorter that is the best in both categories. Instead, you will generally need to select the one that is more important to your needs and accept a good, if not great, function for the second quality. If reliability is the more important quality, then the Royal Sovereign FS-44P is the coin sorter for you. This coin sorter offers Royal Sovereign’s patented anti-jamming feature to help ensure. You do not run into any issues while sorting and counting your coins. 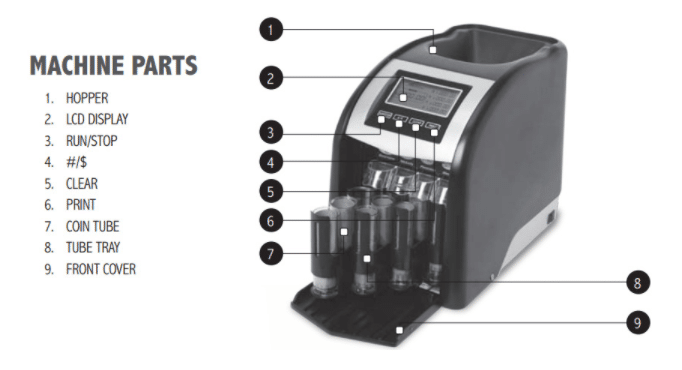 Moreover, this coin sorter also offers the most accurate counter as well as an automatic advancing four-row coin tube. Of course, if your business needs run more towards the high-volume end, like for a video arcade, then the Cassida C200 is a better option. With by far the largest coin hopper and one of the fastest coin sorting mechanisms, this coin sorter is ideal when you need to sort a large number of coins in a hurry. Unfortunately, it only sorts one row of coins at a time and does not have an anti-jamming feature. Attractive component to content. I just stumbled upon your site and in accession capital to say that I get in fact enjoyed account your weblog posts. I’ve been surfing online more than 3 hours today, yet I never found any interesting article like yours. It is pretty worth enough for me. Personally, if all web owners and bloggers made good content as you did, the internet will be much more useful than ever before. I wanted to buy my grandson one of these for his birthday because he has a fascination with collecting coins from around the house and counting them. He doesn’t need anything fancy though so I think I might go with your last pick or maybe even a less expensive one. I mean, he is only 8 years old. You would think that any coin sorter on the market would have to count the coins correctly almost 100% of the time. However, I feel like a bunch of people are getting ripped off because they don’t check the facts. You have them all laid out nicely here so I can know which brands to stay away from. I have never gotten a coin machine that didn’t jam. Even the ones that said they won’t jam. If you can guarantee that one of these won’t jam then I will purchase it. However, I’m not getting a new one until I hear some good things from reviews or people.